Black Panther Oversize Hardcover Vol. 1: A Nation Under Our Feet - Collecting Black Panther (2016) #1-12. 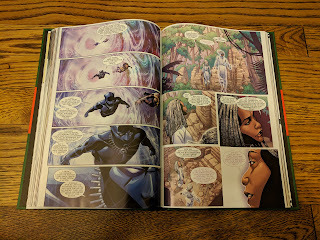 Earlier this year I went on a Black Panther reading binge in the weeks leading up to the release of the Marvel Studios film. 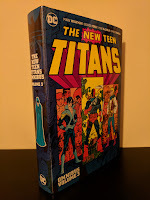 One of the books I read during that time was this hardcover collection, which contains the first arc of Ta-Nehisi Coates' current, on-going run on the title. I even teased the eventual completion of this review in my write up for the film. I then proceeded to find myself distracted by a number of other things and hadn't gotten around to getting my thoughts down 'on paper' until now. Let me assure you that my delay in getting this review together is no indication of this material's quality as it is excellent. Aside from his inclusion in other Marvel comics titles (i.e. 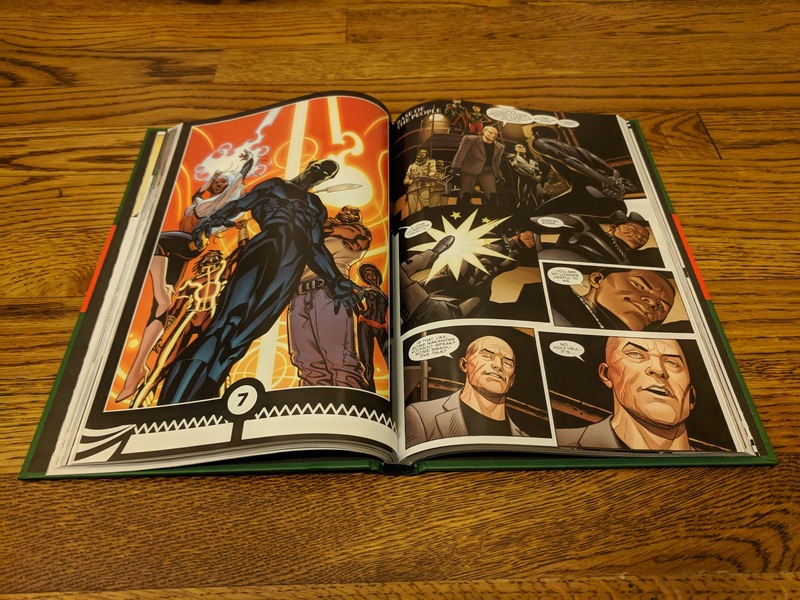 Jonathan Hickman's Avengers run) my comic book exposure to Black Panther prior to this volume was pretty much limited to Christopher Preist's highly regarded run (which was also a part of my pre-film reading binge). 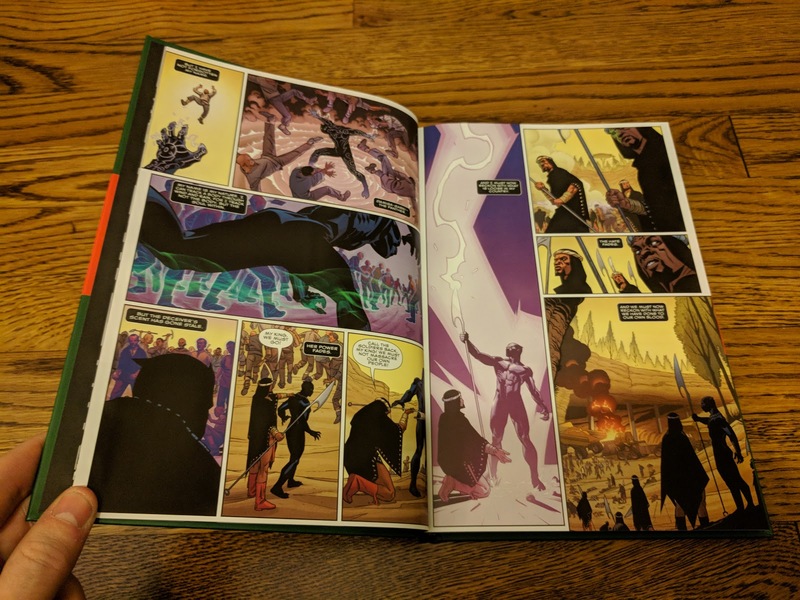 Coates' Black Panther is in quite a different place than Priest's was. T'Challa is no longer the ultra-confident strategist that dominated the Marvel Knights era. Instead, he now questions himself and whether or not he is the right person to lead Wakanda in a time of political unrest. 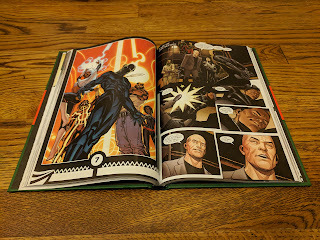 These feelings were brought about primarily due to the fall out of larger Marvel Universe events such as Avengers vs X-Men, Infinity, and the end of Hickman's Avengers run leading into Secret Wars (2015). I'm not going to try and explain all of those events, just know that they had a profound impact not only on Wakanda, but T'Challa himself, and that slight spoilers for some of those events may follow. 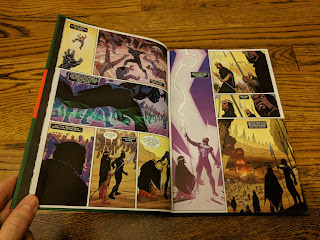 Coates does a wonderful job of showing T'Challa's struggle in returning to Wakanda and filling the shoes of his sister Shuri, who had been ruling in his absence and sacrificed herself to the living death in order to protect Wakanda, while he was off helping the Avengers quite literally save the world. What he finds is a nation divided by the lack of stable leadership, with a couple different factions beginning to gain support in their attempts to overthrow T'Challa's rule. One is led by a pair of exiled Dora Milaje (whose story spins off into the Black Panther: The World of Wakanda title that I have yet to read) and grows from their efforts to better the lives of the oppressed in Wakanda. The other is led by a man named Tetu, the power-hungry leader of a group called The People. He enlists the help of a powered woman named Zenzi, and even goes so far as to ally with Ezekial Stane. Tetu isn't the only one to look for help in questionable places. Before recruiting Luke Cage, Misty Knight, Storm, and Manifold as the latest iteration of The Crew, he consulted with some of the world's 'most successful counterrevolutionary minds' (i.e. horrible dictator types who quash those with even the slightest difference of opinion without remorse). 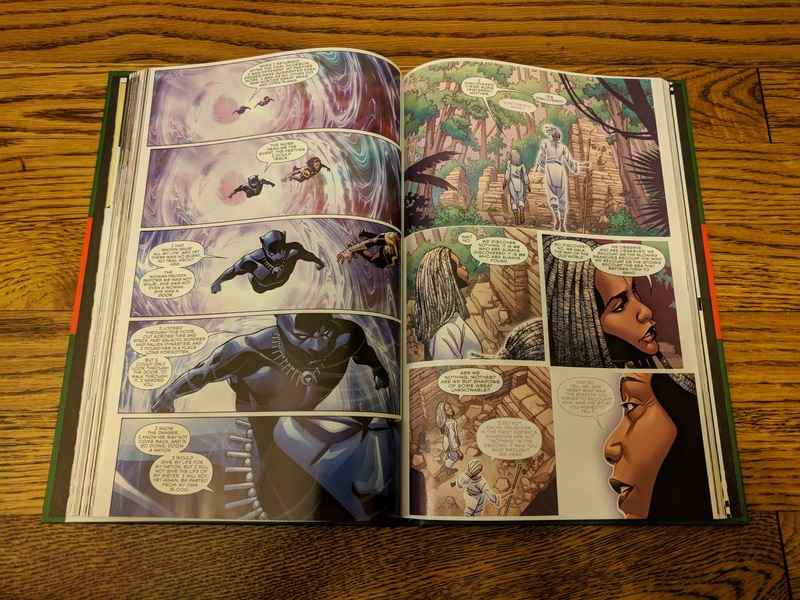 Throughout all of this, T'Challa is also searching for a way to bring Shuri back from the living death while she is on her own existential journey across the plane of Wakandan memory (The Djalia). 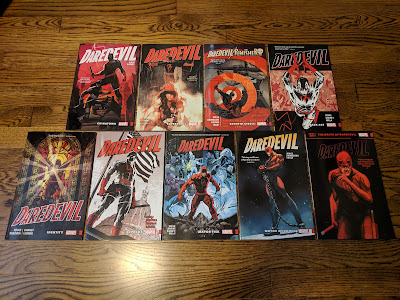 The art throughout this collection is excellent. 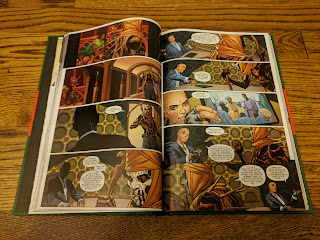 Brian Stelfreeze launched the series along with Ta-Nehisi Coates and provided the design work that gives the series its unique feel. 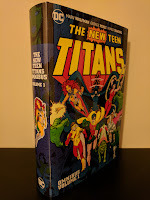 He contributed the the artwork for half of the issues in this collection, while the team of Chris Sprouse and Karl Story penciled/inked the other six issues. 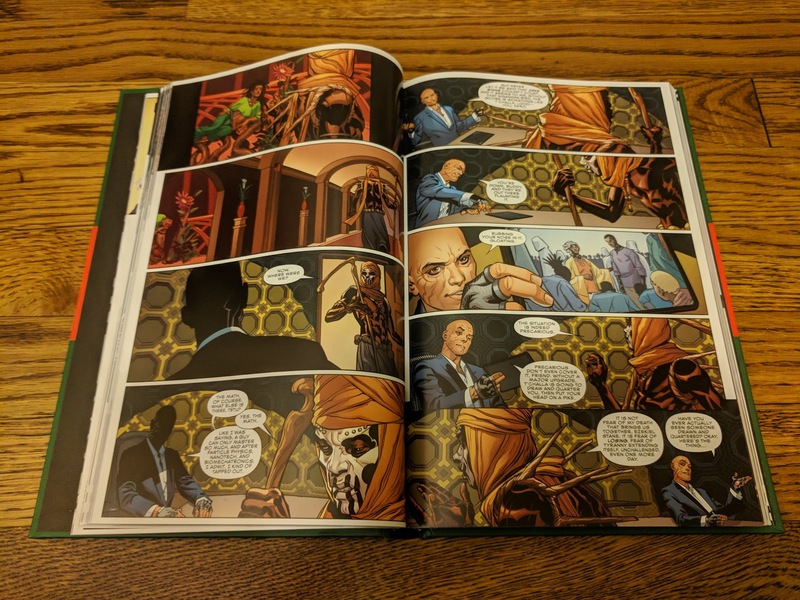 The work of Sprouse/Story is very similar to that of Stelfreeze, and along with the Laura Martin's and Matt Milla's colors, provides a very uniform look to the book as a whole. There are also updated Wakandan elements throughout this story, specifically the Kimoyo beads which are the latest and greatest upgrade to the Kimoyo card that Priest first introduced in his run. The beads are Wakanda's version of an Apple Watch-like wearable technological accessory and are one of many elements of this run to have been adapted to the film. 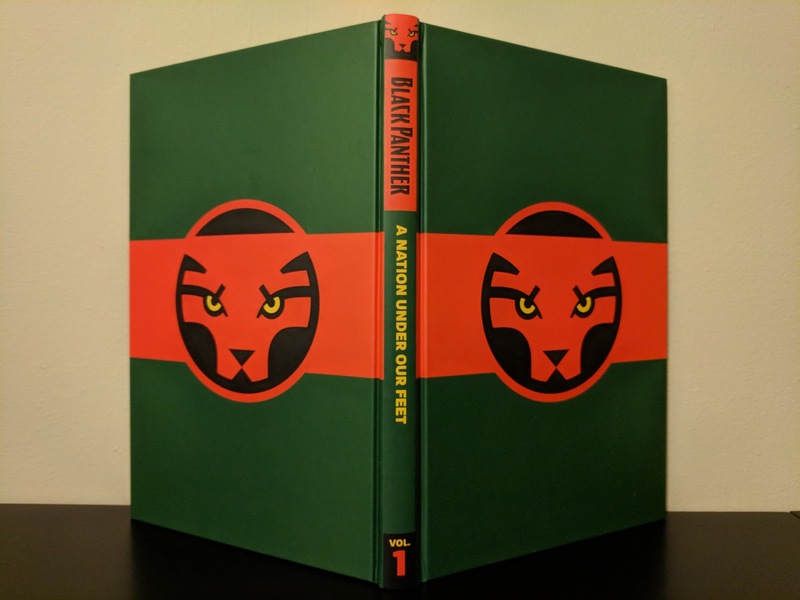 The physical book itself is a great looking edition, with a graphic wraparound cover under the dust jacket that shows off the design of the Wakandan flag. There is an introduction from late night TV host Seth Myers, a map of Wakanda, a crazy number of variant covers from this series, as well as Black Panther-centric variants from other books, and some design/sketch work of Stelfreeze's. 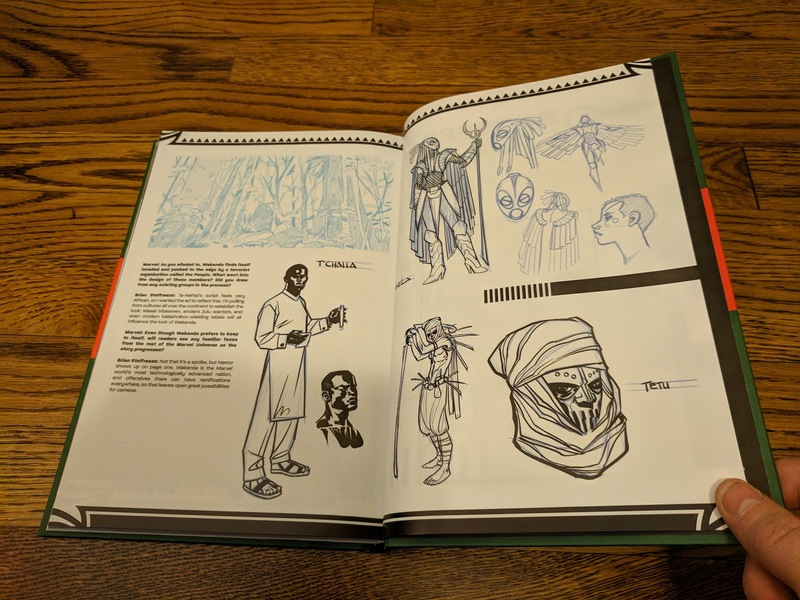 There's even a Black Panther Chronology list, which is really useful for someone like me who has had a relatively limited exposure to the character. 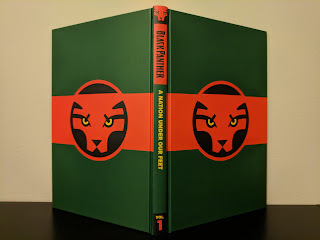 While I don't have a whole lot of Black Panther experience, I have thoroughly enjoyed what I have read. 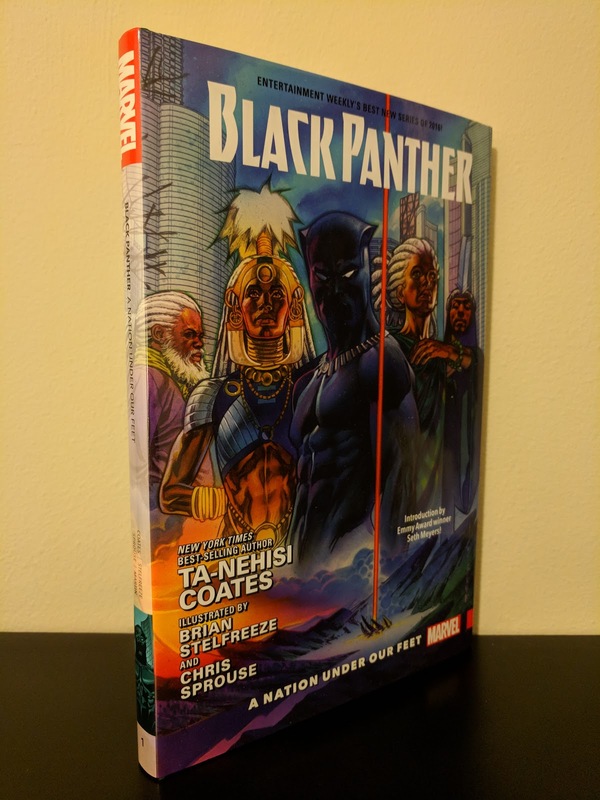 Ta-Nehisi Coates is juggling a number of deep, thought provoking, and interesting concepts in his run so far, and I'm really looking forward to picking up the second oversize hardcover collection when it is released this fall.